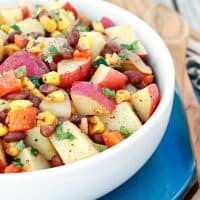 SOUTHWEST POTATO SALAD — This twist on classic potato salad includes corn, black beans, jalapeno, red pepper, and Mexican inspired seasonings. One of my resolutions for 2016 is to eat healthier lunches. This seems to be a challenge for most people I know, whether they work in or out of the home. 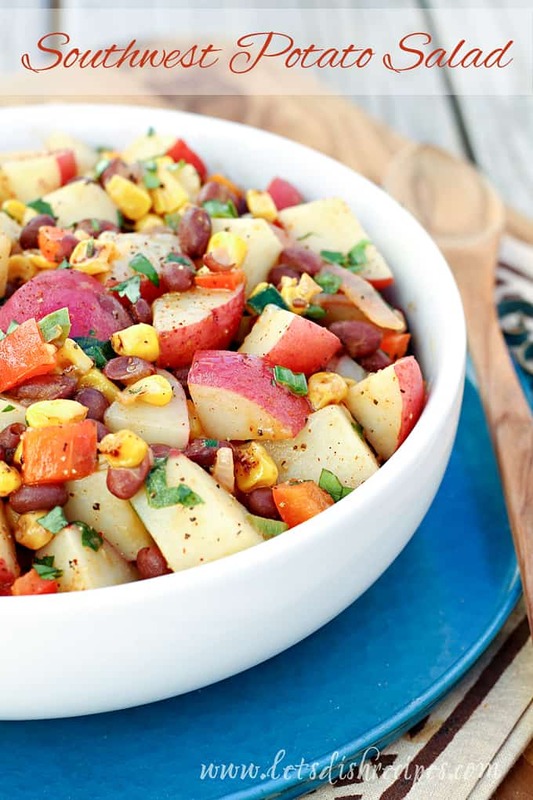 Whether you eat lunch at home or are looking to pack a healthier lunch to take to the office, this Southwest Potato Salad, loaded with veggies and beans, then tossed with a spicy olive oil dressing, is just what you need! I love potatoes just about any way you can make them, but I especially love that potatoes are so good for you! One medium potato with skin has more potassium than a banana! Potatoes are also an excellent source of Vitamin C, fiber, B6 and iron. They’re also high in fiber and naturally gluten-free. I used red potatoes in my salad. They have a subtly sweet, creamy texture that was a perfect compliment to the beans and roasted veggies in this dish. 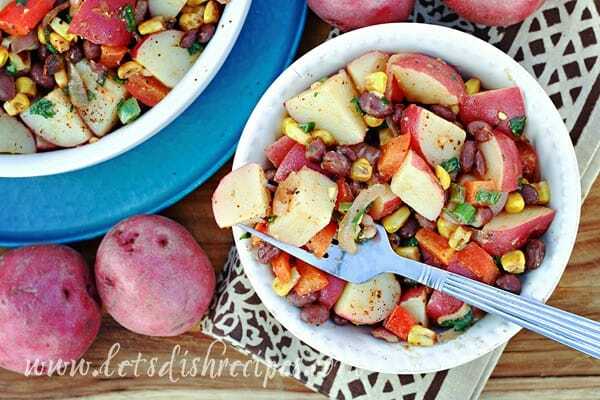 They also hold up well to some boiling and tossing, so they’re great in potato salads, but really, you could use any variety of potato in this recipe with good results! 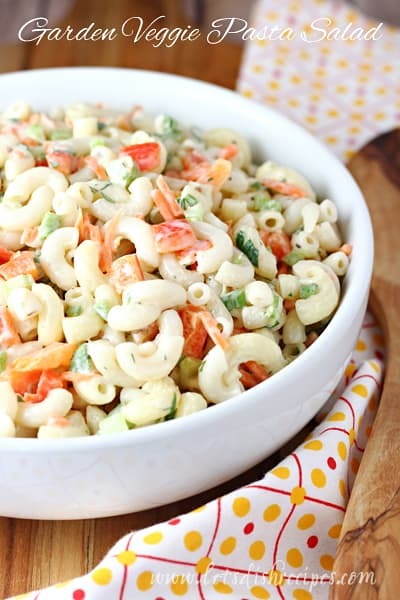 This zesty salad is great to pack for lunch because it has an oil based (rather than mayonnaise based) dressing, so it can sit at room temperature for a few hours without any issues. I think it makes a great light lunch all on it’s own, but it also makes a fabulous side for some grilled chicken or steak. Feel free to adapt this salad to suit your tastes. You can raise or lower the level of spiciness by adjusting the amount of jalapeno and cayenne. You could even change up the vegetables. I sauteed most of my veggies over medium-high heat for a few minutes to give this salad a hint of that blackened, roasted flavor, but you could add all your veggies raw, if you prefer. This kept well in the refrigerator for about 3 days, which means you can make it once and pack a nutritious lunch for several days in a row. It’s such a pretty, colorful salad too! It so nice when dishes that are good for you also look appealing and delicious! Be sure to save this Southwest Potato Salad recipe to your favorite Pinterest board for later. 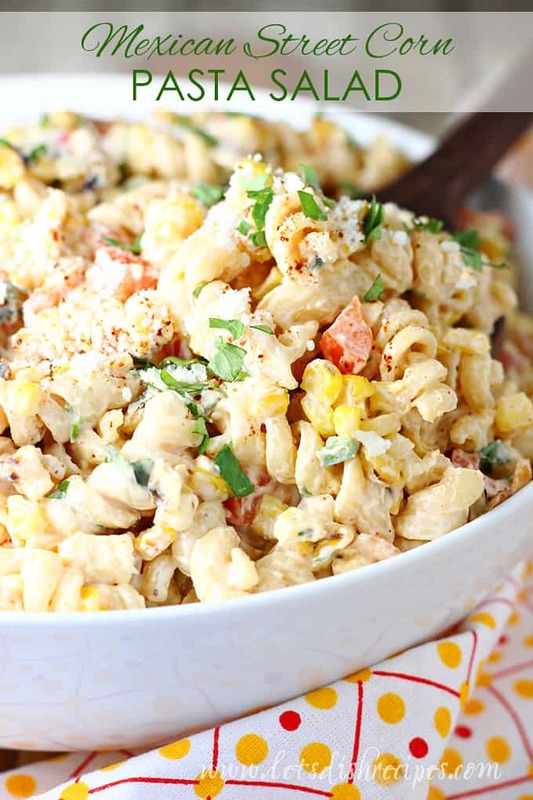 This twist on classic potato salad includes corn, black beans, jalapeno, red pepper, and Mexican inspired seasonings. 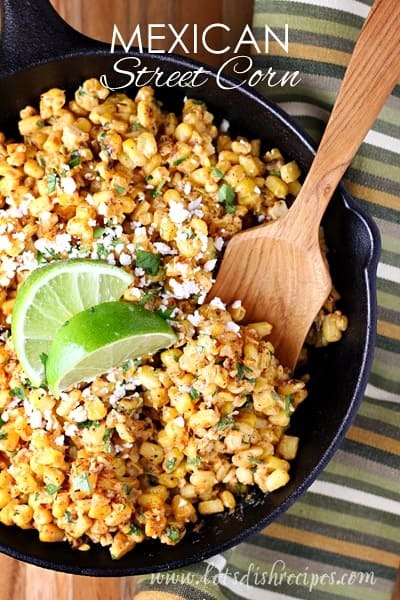 Meanwhile, in a large skillet over medium high heat, sauté the corn, red onion, bell pepper, jalapeno and garlic for about 5 minutes until veggies are softened and slightly charred. If you’ve made a resolution to eat healthier this year, there are so many ways to incorporate potatoes into your plans. Be sure to visit Potato Goodness for more great potato recipes. This is a sponsored post for the US Potato Board. The opinions expressed are my own. I love potatoes in any recipe and potato salads are great. A meal in itself and packed with goodness. My family love potato salads. This one sound really delicious. Thanks again Danelle for this great recipe.